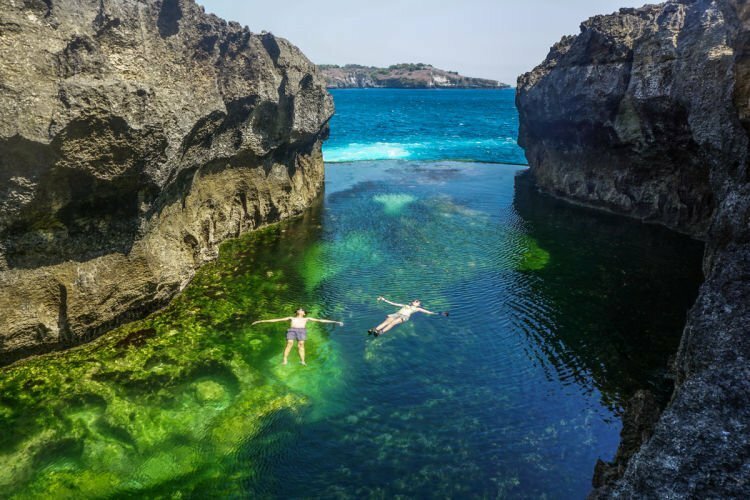 Nusa Penida Tour or Nusa Penida Day Trip will serve you to explore the beautiful of Nusa Penida Island - the largest of three islands off the south eastern coast of Bali, the others being Nusa Lembongan and Nusa Ceningan - by transfer you with fast boat to Nusa Penida. 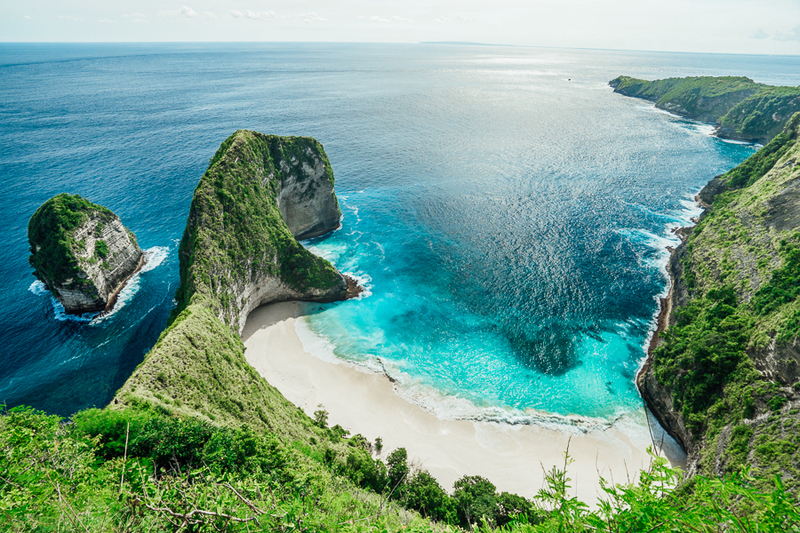 Nusa Penida Island is hilly with a maximum altitude of 524 metres, it is drier than the nearby island of Bali but most famous for its beautiful cliffs and pristine coastlines. What the Nusa Penida Tour look like? 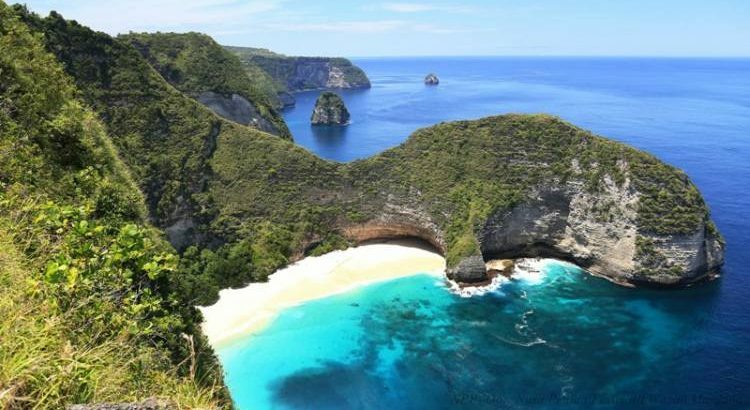 Crystal Bay is the name of a secluded cove with a 200-metre stretch of sand on the west coast of Nusa Penida Island that will be the last visit for this Nusa Penida Tour. Despite its isolation, the bay is quite accessible thanks to well-developed roads. 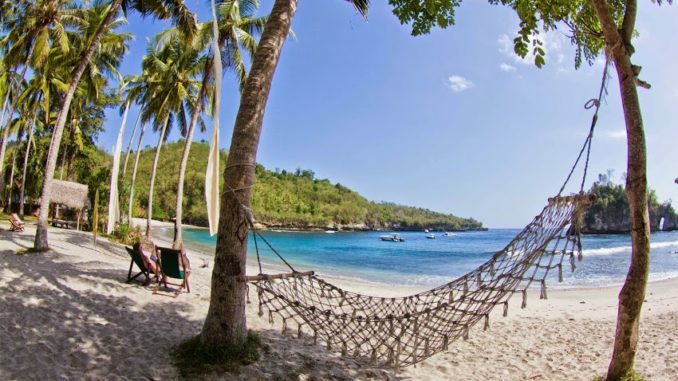 Besides its beautiful palm-fringed beach, the bay is best known as one of Nusa Penida’s famous snorkelling and dive sites. 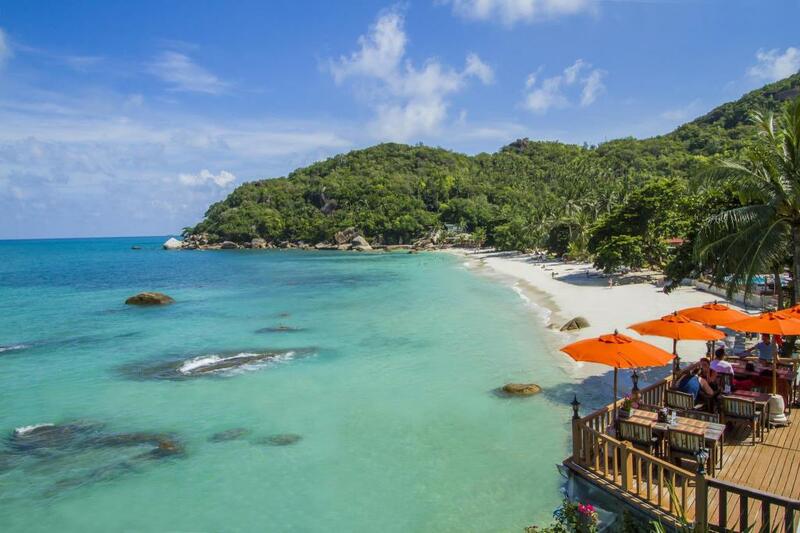 Near the shore, the waves are swimmable during calmer tides with crystal-clear waters, hence its name. Divers praise the superb visibility, sometimes down to 30 metres. Kelingking Beach is a hidden beach in the village of Bunga Mekar, on the southwestern coast of Nusa Penida island. 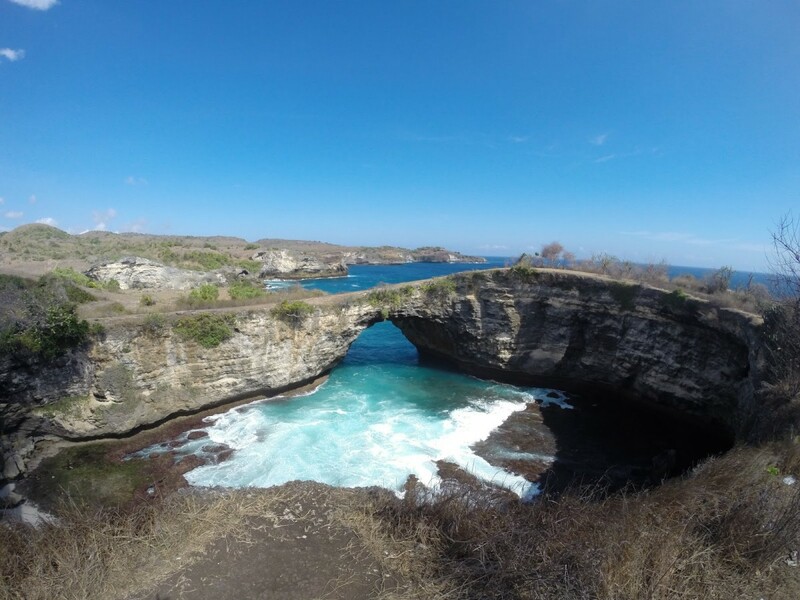 You can enjoy one of Nusa Penida Tour the most breath-taking views over the hills and small strip of white sand from atop a hill of the same name. The sight features a limestone headland covered in green, against the deep blue waters of the open Indian Ocean. This unique formation is reminiscent of a Tyrannosaurus Rex head, hence its nickname ‘T-Rex Bay’. The secluded beach itself is down a rugged 400m cliffside hike. 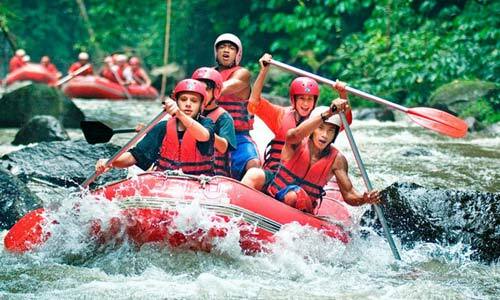 This is recommended only for the fit and adventurous. 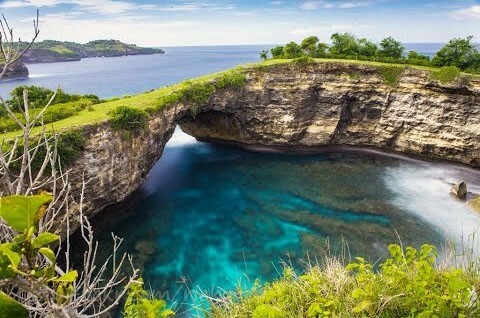 Angel’s Billabong is a spectacular rock formation on Nusa Penida island's southwestern cliff edges. The naturally formed rock lagoon offers a scenic seascape. You can descend into its crystal-clear rock pools for a swim or a soak, but only during low tide. 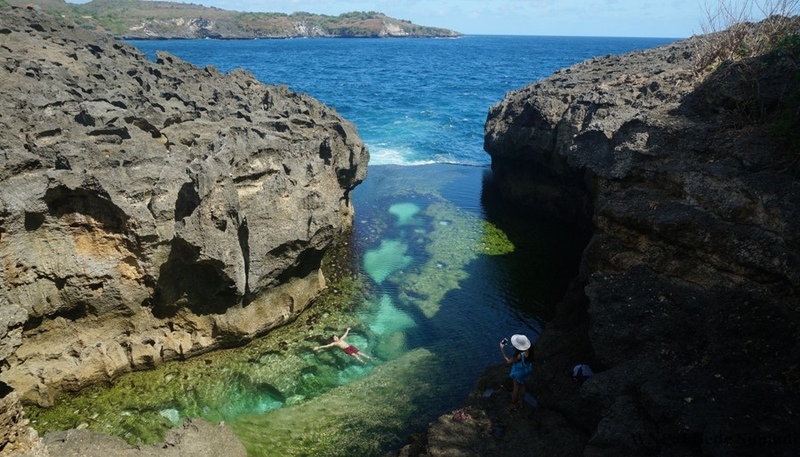 The rock pools are one of the must-sees for visitors/tourist to Nusa Penida. However, you’ll most likely have this amazing natural infinity pool all to yourself on your visit. You can enjoy a dip in the crystal-clear pools amongst its jade seaweed-covered rocks. You can even swim around the whole lagoon to your heart’s content. It’s a good idea to come with reef shoes. Broken Beach (Pasih Uug) is a scenic coastal formation on the southwestern edge of Nusa Penida island. The spot is marked by a hilly arch-like rock formation, which is the distinguishable landmark of the area. Broken Beach is a great spot for travel photographers and panoramic view seekers during the Nusa Penida Tour. The adjacent area is also home to grey long-tailed macaques. If you’re lucky, you may spot silhouettes of giant mantas near the surface of the deep blue water. Note: All other areas for this Nusa Penida Tour or Nusa Penida Day Trip will be quoted on upon request with additional charge. 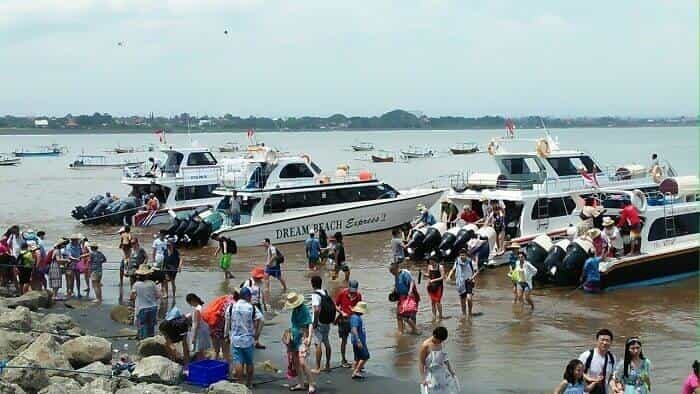 If you want to go to Nusa Penida Island from Bali, the easiest and fastest way, if you go from the capital, Denpasar is by getting to the Sanur beach and using some traditional public boat called 'jukung'. Jukung will cost you maximum around IDR. 40.000 Fast Boat to Nusa Penida and it will take around 90 minutes 30 minutes to reach Nusa Penida.